The solution to the dystopic Indian cotton system lies in developing an ecological understanding using the SS-HD cotton as a basis. The writer is Professor Emeritus, University of California at Berkeley. Harish Damodaran’s article, ‘White gold: How a revolution was reversed’ (IE, March 21) has been described by Indian colleagues as mischievous. But as a scientist who has analysed cotton production worldwide for 45 years and Indian cotton for the past decade, I would call the article misinformed on biology and based on a macroeconomic argument that has little to do with how well most farmers are doing. I doubt Damodaran would base his household economics on aggregate national statistics; yet that is the argument he is making with regards to Bt cotton production in India. The real question is how well are farmers doing, and not whether India is number one or two in cotton production — if farmers are doing well, that national statistic takes care of itself. But let’s unpack the issues a bit. Yes, between 2003-04 and 2011-12, India’s cotton output more than doubled — from 14 million bales (of 480 pounds or 218 kg each) to 29 million bales, 302 kg per hectare in 2002-03 to 566 kg in 2013-14. There was an expansion in crop area from 7.67 million hectares to 11.96 million hectares during this period, and an initial reduction in insecticide use with Bt technology. But the real question is: Were hybrid cotton and the Bt technology needed in the first place? The answer is clearly no. Improved Indian F1 hybrid long season cotton varieties began to be introduced in the 1970s. They required increases in fertiliser and insecticide to protect against the native pink bollworm. As insecticide use grew, regional outbreaks of secondary pests, namely the so-called American bollworm, were induced by the ecological disruption. They caused havoc and suppressed yields. In cotton, the more you spray, the greater the outbreaks of pests — this phenomenon has occurred worldwide. Once on the insecticide treadmill, farmers end up spending money to lose money. Starting in 2002, the Bt technology was introduced into F1 hybrid long season varieties to solve the bollworm problem. (Note that yield potential is a property of the variety and agronomic practices and not the Bt technology). The introduction of hybrid Bt cotton led to an initial reduction in insecticide use, but by 2012, insecticide use was at pre-2002 levels, and now targeted still newer induced secondary pests (for example, whitefly, mealybugs, jassid). In addition, resistance to insecticides and to Bt toxins was developing in pink bollworm and American bollworm — quite likely other pests as well. Indian cotton farmers were now riding both the insecticide and biotechnology treadmills in the face of stagnant yields. 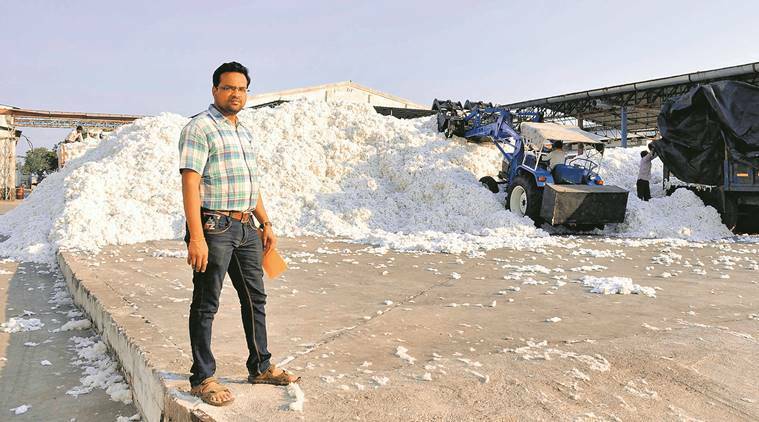 As uniquely produced in India, the high-priced manually pollinated F1 Bt hybrid cotton seed can be planted for one-season and is therefore, an industry value capture mechanism that traps farmers into annual purchases of seed. Nowhere else in the world is this type of F1 hybrid cotton grown. Another obvious question is why are yields in the rest of the world more than double the highest average in India? The answer lies in the use of long season varieties and the high cost of Indian hybrid Bt seed that lead to sub optimal planting densities — this sets the ceiling on yield. In addition, yields are affected by inter-seasonal differences in rainfall, induced pest outbreaks and, the effects of increasing pest resistance to insecticides and to the Bt technology. Most of central and south Indian cotton is rainfed, and low-density long season cottons are simply inappropriate, and further encourage late season buildup of pests and greater insecticide use. The solution is planting rainfed short season high density (SS-HD) cotton as developed at CICR, Nagpur, and other institutions — cotton that could double yields, avoid pink bollworm infestations and hence reduce insecticide use and obviate the need for Bt technology. Because the Indian F1 hybrid technology is costly and really doesn’t contribute to yield, it is inappropriate for implementation in SS-HD cottons. Fully fertile hybrid varieties such as those developed in China could be developed for India, but seed companies would lose control of their IPRs. Further, as a warning, the use of fertile GMO varieties for food crops would lead to contamination of non-GMO seed-stock. The solution to the dystopic Indian cotton system lies in developing an ecological understanding using the SS-HD cotton as a basis. Damodaran exposes his bias when he asks: ”Does arbitrary fixing of sale price and technology fee for seed make sense?”He wrongly supposes that the limited yield gains have come from biotechnology innovation. Small and subsistence farmers of India have paid a huge price on the gallows of current hybrid Bt cotton, and they deserve honest on the ground solutions.